CTTS Holidays Sdn Bhd was established since 2008 and they are partnering with many travel agents over the world such as China, Japan, Europe, Indonesia, Thailand, Korea, Cambodia, Vietnam and many more to offer their travel packages. CTTS Holidays is mainly providing express bus service to Jetty Kuala Besut, Jetty Merang, Jetty Marang and Jetty Shahbandar. All of these jetty are the gateway to Perhentian Islands which is a beautiful and famous destination in Malaysia. Their bus service departs from various parts in Malaysia including Kuala Lumpur, Penang, Ipoh, Malacca, Johor and many more. 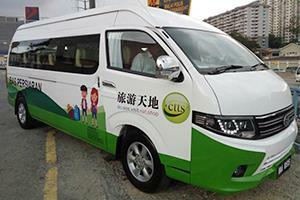 The coach offered by CTTS Holidays Sdn Bhd are equipped with air-conditioning, fabric cushion seats and 27-seat bus. 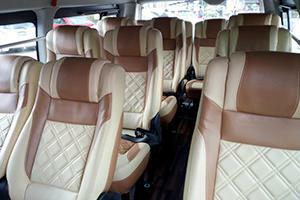 CTTS Holidays ensure passengers have the sufficient leg room as the bus journey to Kuala Besut may take up to 7 hours. Therefore, they promise to provide the top quality bus service at affordable price to their passengers.